Hello, and welcome to day two of the Dr. Seuss Family Adventure Series. Did you see yesterday’s Dr. Seuss Cuddle Blanket? It’s the perfect baby gift! 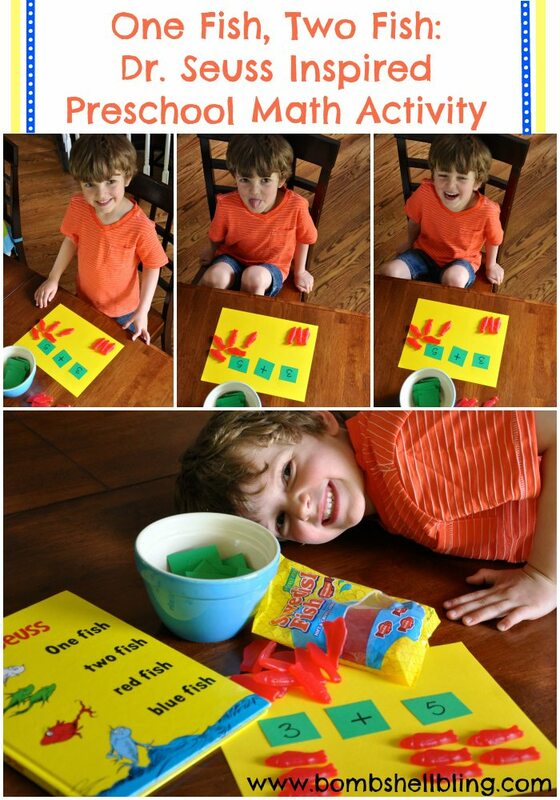 As for today, today I am going to share with you a preschool math activity inspired by One fish two fish red fish blue fish. 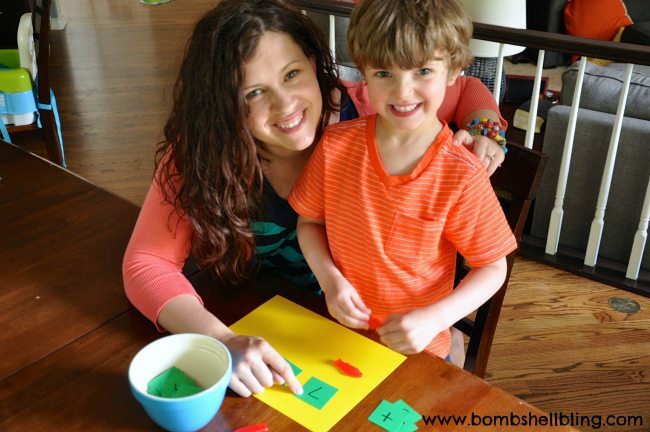 This activity is simple to do, but really fun. Since I let him eat a couple of the fish when he was playing, my son asked me several times today if he could play it again. 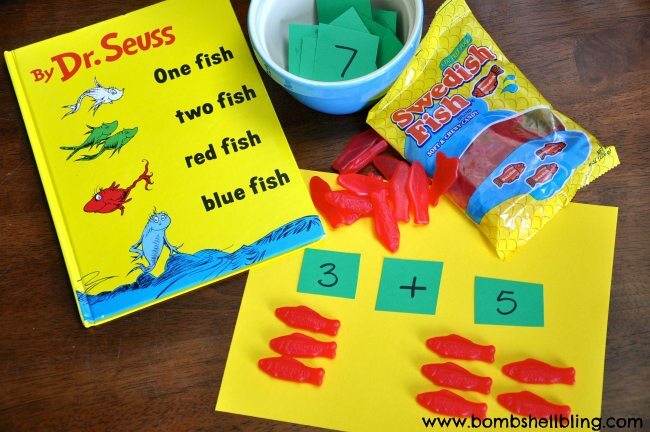 Of course I said “yes.” 🙂 For this activity you will need the book One fish two fish red fish blue fish (not required, actually—-it’s just fun to read and be thinking Seuss and fish when it’s math time), Swedish Fish, and scraps of paper with numbers and addition or subtraction signs on them. The premise of this activity is very simple. Read the book together, just for fun. Then sit down and draw two numbers and either a plus or a minus sign. Lay out the problem and complete it using the Swedish Fish as visual aids! SUPER simple, but I was amazed by how excited my son was about it. That’s it! 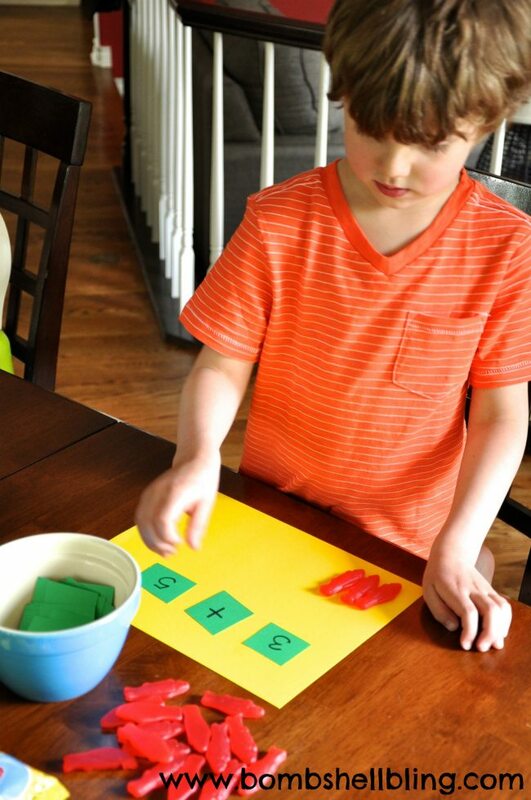 A fun and simple Dr. Seuss inspired preschool math activity that only takes minutes to prepare. I hope you try it out with your kiddo! Be sure to come back tomorrow for the next post in the Dr. Seuss Family Adventure Series! What a great idea Sarah, love it!